US doctors have carried out what they say is the most extensive face transplant ever performed. The operation at the University of Maryland gave Richard Norris a new face, including jaw, teeth and tongue. The 37-year-old has lived as a recluse for 15 years after being severely injured in a gun accident, and wore a mask whenever he went outside. The surgery was funded by the US Navy, which hopes the techniques will help casualties from Iraq and Afghanistan. Surgeons who carried out the 36-hour operation say it was part of a series of transplant operations lasting 72 hours, using organs from one donor in five patients including Mr Norris. via BBC News – US face transplant gives man new jaw, teeth and tongue. The study suggests that molecules that specifically inhibit mTORC1 may combat age-related diseases without the insulin-resistance side effect, which can predispose people to diabetes. Senior author Joseph A. Baur, PhD, assistant professor of Physiology, Perelman School of Medicine, University of Pennsylvania, and colleagues at the Whitehead Institute for Biomedical Research and Broad Institute, Massachusetts Institute of Technology, in Cambridge, MA, describe their work in this week’s issue of Science. Baur is also a member of Penn’s Institute for Diabetes, Obesity, and Metabolism. via Study explains how rapamycin also causes insulin resistance. 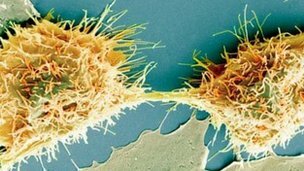 The first volume of a “book of cancer knowledge” has been published, which scientists say will speed up the search for new cancer drugs. The “encyclopaedia” details how hundreds of different cancer cells respond to anti-cancer agents. UK, US and European researchers say the data, published in Nature, is a step towards tailoring cancer medicine to a patient’s genetic profile. via BBC News – Cancer: ‘Book of knowledge’ published. The infections are considered incurable, but several advances have been made in laboratories suggesting that cures may be possible. None have been tested in the field yet. Late last month, scientists from the National Institute of Allergy and Infectious Diseases reported that two well-known cancer drugs used against leukemia, Gleevec and Tasigna, prevented Ebola virus from replicating in a lab colony of human kidney cells. 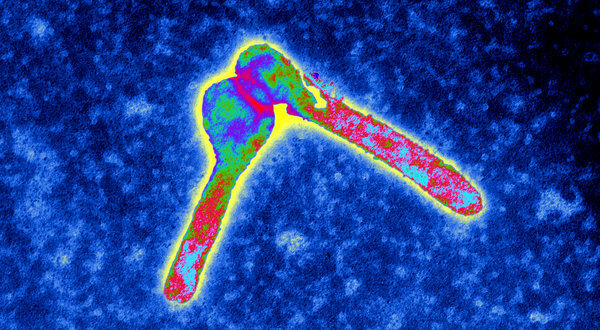 via Advances Suggest Possible Cures for Ebola and Marburg Virus – NYTimes.com. Sleep has many functions—including facilitating learning.Now a study finds that when we acquire new information, and how soon we sleep after that may affect our retention of the info. That’s according to research in the journal Public Library of Science One.Scientists had more than 200 subjects memorize related words like “fire and smoke,” or unrelated word pairs like “insect and truth.” Some studied the words at 9 am, others at 9pm.The researchers tested the subjects’ ability to remember the pairs after 30 minutes, 12 hours or 24 hours.Sleep had little effect on the ability to recall related words. But subjects who slept between tests were significantly better at remembering the unrelated words than those who got no shuteye. via Ability to Learn Is Affected by the Timing of Sleep: Scientific American Podcast. This is the line that rings through most houses with at least one kid. We all know when something’s not fair. That car that drove up the shoulder while you waited in traffic (rrrrr)? That’s a cheater, and that’s not fair. The person who cut in line at the grocery store instead of waiting? That’s not fair either. We get a sense of what is fair or unfair at a pretty young age, and we also understand that we are allowed, and indeed encouraged in some cases, to punish unfair behavior. But we don’t all punish unfair behavior the same way, especially when punishment may be detrimental to us. What is responsible for this difference? What mediates our reactions to what is unfair? via Think that’s not fair? Your serotonin transporters must be high. | The Scicurious Brain, Scientific American Blog Network.